Having a priviledged English upbringing, Rupert Everett tells the story of his young life in Hampshire, London, and Yorkshire, and his stay in Paris in the late 70s which was a real eye-opener. Being thrust into boarding school wasn't fun - didn't his parents want him and his brother? Upper class Britain has some weird ideas. Young Rupert got his first theatrical break in "Julius Caesar" and in "A Midsummer Night's Dream" at school. He soon befriended some theatre types who showed him the ropes. This book isn't so much a me, me, me book, as he relates many stories involving many other "names", and it is very interesting to see how interconnected the world of showbiz (and how small) is. What an amazing life he's had. From stage productions to movies, Mr. Everett's been around, and then some - he's also written two books. Having spent years in London myself from the mid-80s, I particularly enjoyed his vivid descriptions of London and the countryside, and his introduction to Hollywood. No angel, Rupert moved in important circles and for once, we read about the many with whom he moved. Deliciously gossipy, and a rather factual account. I have to wonder who he hasn't met. He's lived in Paris, the south of France, Miami (in its heyday), Los Angeles, New York, and more, and was in the thick of things when they happened. Delectably titillating and a captivating account of life on the road as an actor. 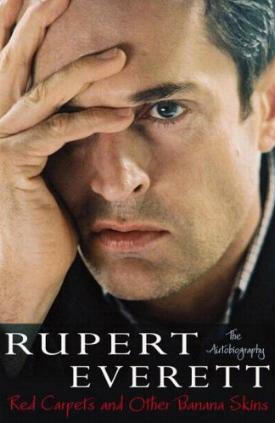 Some of Rupert Everett's films include "Another Country", "Dance With a Stranger", "My Best Friend's Wedding", and "The Importance of Being Earnest". Conclusion - Eloquently written and beautifully evocative. A page-turner if ever I came across one. Bravo, dahling.